Care To Think has worked well in the lead-up to his comeback but trainer Matt Dunn is wary about the sprinter’s winning chances. 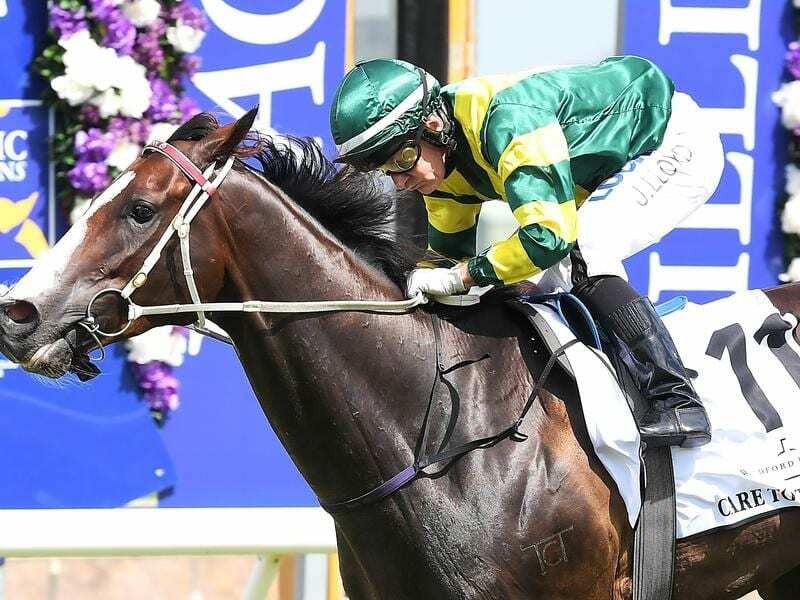 Care To Think will be having his first run since being unplaced in the Stradbroke Handicap in June when he tackles the Group Three George Moore Stakes (1200m) at Doomben. Dunn has had a frustrating time with Care To Think who was favourite for the $1.3 million Kosciuszko at Randwick in October before an elevated temperature forced the sprinter’s scratching. It followed a series of poor barriers for the gelding which hampered his winter campaign. Care To Think won the Magic Millions Cup (1400m) earlier this year and will be aiming to go back to back on January 12. Dunn thinks he can win a lead-up race to the Millions but isn’t overly confident about it being on Saturday. “I think he will run well. His effort to run third in a trial at Doomben last week was OK and he has worked well this week,” Dunn said. Jim Byrne rode Care To Think in the recent barrier trial but he will stick with Most Important. In-form Ryan Maloney will have his first ride on Care To Think. “He is a genuine Group standard rider and a good thinker in races,” Dunn said. Dunn has changed the plans for his promising three-year-old The Fire Trap who will now run in the Winning Rupert Stakes (1200m). “I wasn’t all that happy with his recent fourth in a trial and I was going to trial him again before he resumed,” Dunn said. The Fire Trap has won three races from four starts including a smart last-start victory at Rosehill. He is being aimed at the $2 million Magic Millions Guineas.